After the monumental success of Baahubali, every movie-lover wanted to see what’s next from the master director. 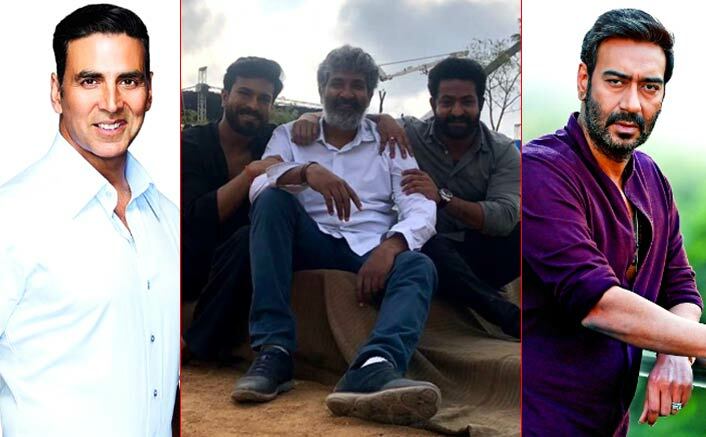 Last year, SS Rajamouli uncovered the secret and announced another mammoth project in RRR. Starring Junior NTR and Ram Charan, the scale of the movie is said to be touching sky-high. Names of Akshay Kumar, Ajay Devgn, Alia Bhatt and Parineeti Chopra are in the rumours of being a part of the film. Recently, there were reports that a 1000 fighters have been roped in for a grand fighting sequence in the film. The second schedule of the film is currently under process in Ramoji Film City. As far as the leading lady is concerned, the names of Alia Bhatt and Parineeti Chopra have surfaced online. It’s nothing officially confirmed yet. Now, the news is that Akshay Kumar has been approached to play a pivotal role in the film. Akshay was recently seen in 2.0 with Rajinikanth and has expanded his fan-base down south. Reports also suggest that this role was first offered to Ajay Devgn but he couldn’t say yes because of the date issues. It would be interesting to see if Akshay Kumar nods to be a part of this film. He already has too much on his plate including Kesari, Housefull 4, Mission Mangal, Made In China and Sooryavanshi. But we know the man and we also are aware that he can do anything when it comes at multitasking. Akshay Kumar’s PadMan turned one on Saturday, having a message about menstrual hygiene, also stars Sonam Kapoor and Radhika Apte. The film tells the story of social entrepreneur Arunachalam Muruganantham’s journey to make affordable sanitary napkins. The post After Ajay Devgn, SS Rajamouli Approaches Akshay Kumar For A Pivotal Role In RRR? appeared first on Koimoi.